Seat Sticks that leave the others standing. 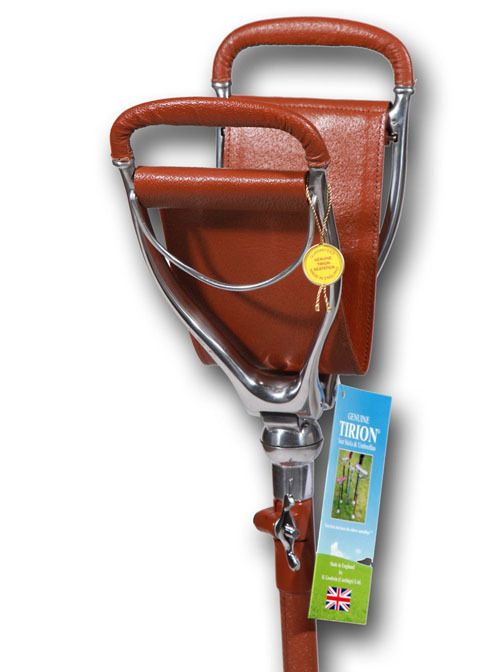 Tirion Seat Sticks have a well-known reputation for quality and reliability. 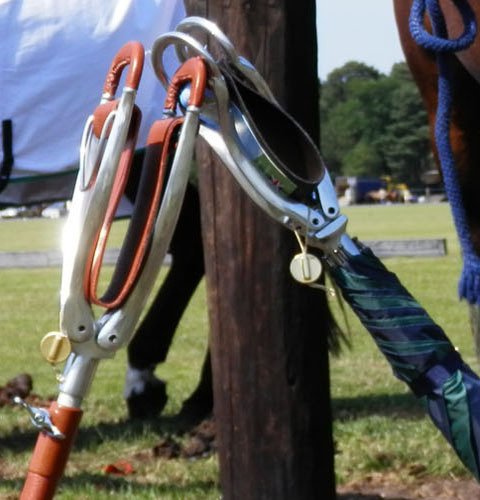 With a tradition, history and heritage that is unrivalled, a quality product is guaranteed. To this day, Tirion Sticks are proudly handcrafted in Walsall, UK. In the late 19th century, Victor Alexis Noirit, a French saddler, moved to London to further enhance his business and reputation, before moving to Walsall. 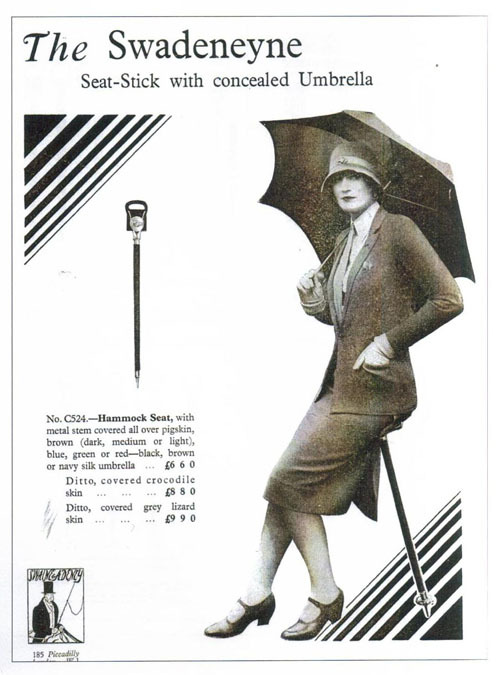 In 1921, Noirit took out the first Shooting Stick patent. 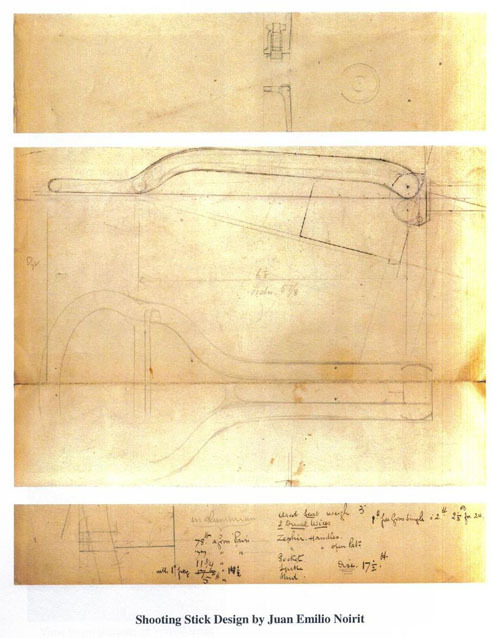 Juan Emilio Noirit, son of Victor Alexis Norit, was a clever designer who was responsible for the design of the shooting sticks that were manufactured. One of his original designs can be seen here. 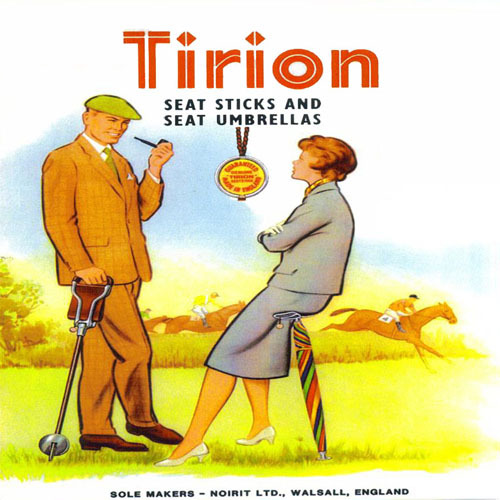 By 1933, the shooting sticks produced carried the logo of ‘Tirion’, which is Noirit spelt backwards. 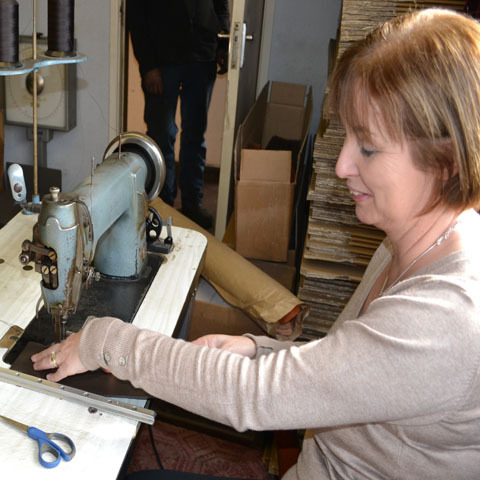 There was a leather stitching shop where the seats were hand stitched and they were exported to all parts of the world. The golf professionals, especially in America, were big customers. Tirion is now owned by H. Goodwin Castings, an old established metal foundry located in Walsall, England. 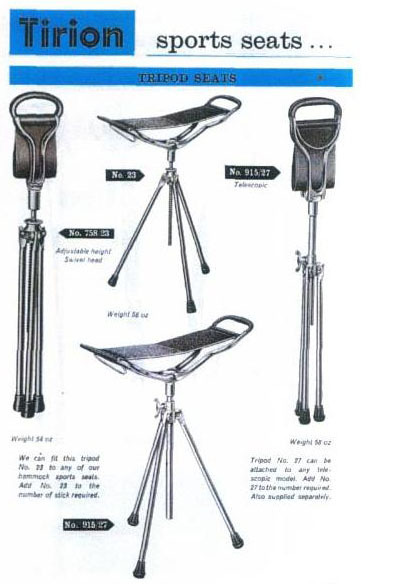 Seat and Shooting Sticks are manufactured and assembled by experienced personnel in our factory. The aluminium parts are cast in our own foundry. 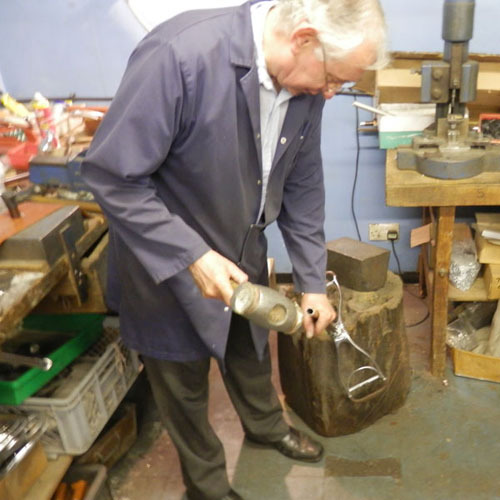 Metalwork machining and polishing is carried out by local Walsall craftsmen with many years of experience. Premium quality goatskin hides are carefully selected for quality and strength. This leather is cut to shape and then hand worked to make the leather seats and handles. For more information call us on 01922 622 302 and we'll be happy to help.